??? 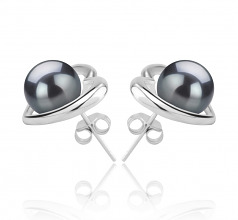 ?Dare to be different with our Kimberly Black 8-9 mm AAA Quality Tahitian Black Pearl Earrings. 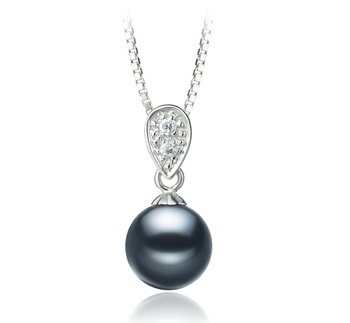 Black pearls are the essence of love, protection, and mystery in the one that wears them. 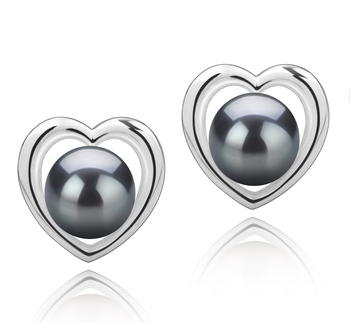 Pearl lovers with a taste for the exotic often gravitate toward the undeniably enchanting black pearl, a mysterious gem if ever there was! 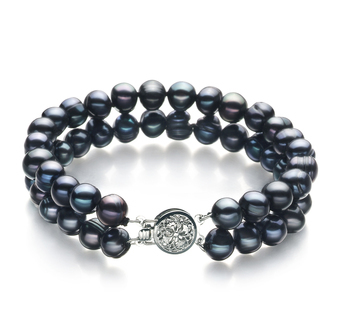 Even rarer than white pearls, black pearls are a symbol of royalty for the wearer. 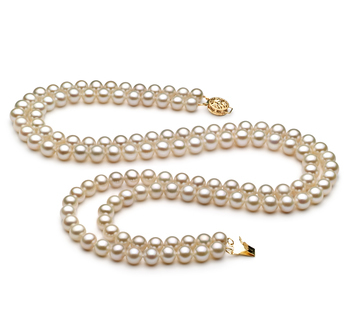 Tahitian black pearls are found around the islands of French Polynesia, and have natural gorgeous undertones of pink, silver, blue, green, and yellow. 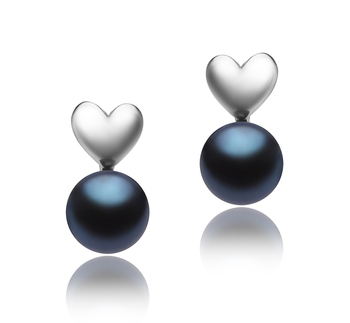 Our Kimberly Black 8-9 mm AAA Quality Tahitian Black Pearl Earrings capture the mystical nature of the black pearl, and combine it with its legendary meaning of a deep, and reverent love. This earring set is 0.5” in length and 0.6” in width, and only 4.1g in weight, to achieve a lightweight yet stunning look. 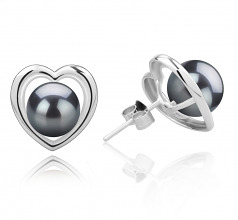 Each pearl is gently wrapped in a silver heart, making it the perfect gift for that unique and beautiful woman in your life. 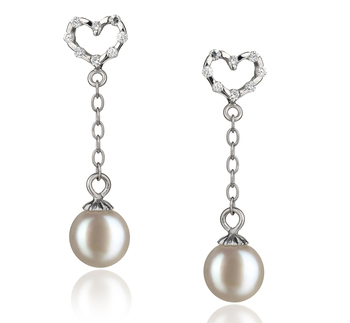 These earrings will making a lasting statement in that special person’s life, showing them how rare and amazing they are!